← O Say Can You CPAC? I have neither played nor watched anyone else play Yoshi’s New Island, but I know the premise behind it is that the Stork brought Mario and Luigi to the wrong house, and when trying to find the right one he once again runs into Kamek. So does that mean a retcon from the original Yoshi’s Island, and maybe more of an indication as to who their real parents are? Not really. The ending just has them being delivered to more people whose faces aren’t seen, living in another mushroom house. For all we know, the ones at the end of the first game WERE their real parents, but they changed their minds and lied to the Stork. So are we ever going to find out who the Bros’ parents are, and does it really have any significance? 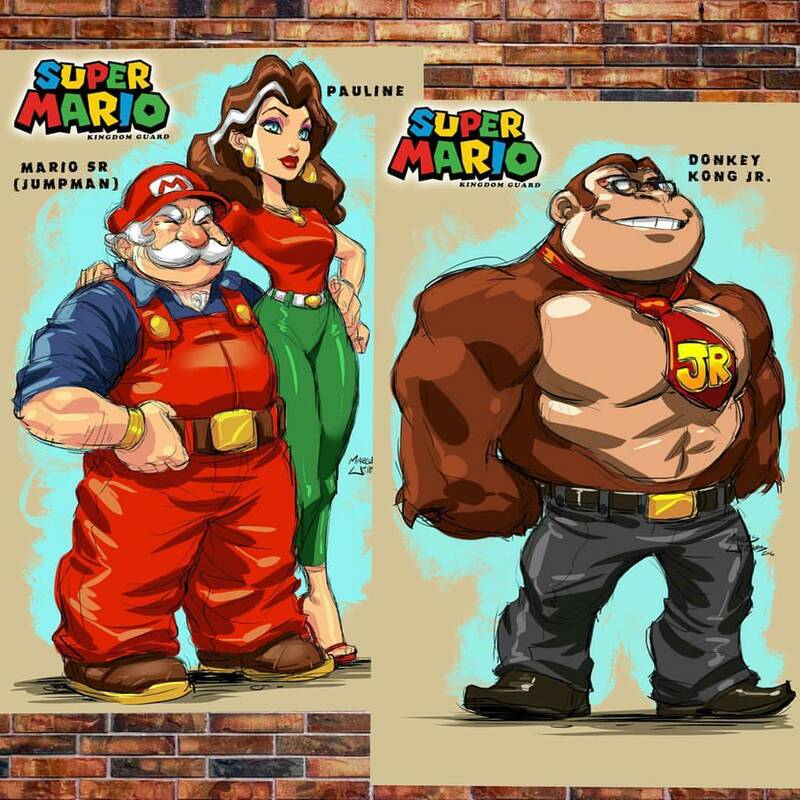 Well, there’s a popular theory on the Internet that the Mario in Donkey Kong (originally called Jumpman) isn’t the same one we now know and love, but rather his (and Luigi’s) father, with Pauline presumably being the mother. Of course, apes age faster than humans, but you’d think Mario would be at least a little older. It explains why Mario has a halo over his head at the end of Donkey Kong Jr., although I wouldn’t take that TOO seriously, as you also can see Mario with a halo in Super Mario World and he was still in more games after that. It also changes it so that Mario never abused a gorilla, even though he’d still be the son of someone who did. There’s actually an interesting connection there, because DK was originally intended to be a Popeye game, and Popeye creator Elzie Segar introduced the sailor’s father, Poopdeck Pappy, because he’d had to tone down Popeye himself. I still prefer to think it’s the same Mario all the way through, but who knows? And if you’re wondering how Pauline can appear as a young woman in Mario vs. Donkey Kong 2, this would be a different Pauline, possibly Mario and Luigi’s sister. There have been a few other hints dropped about Mario’s parents, although I don’t think any of them are considered official by Nintendo. 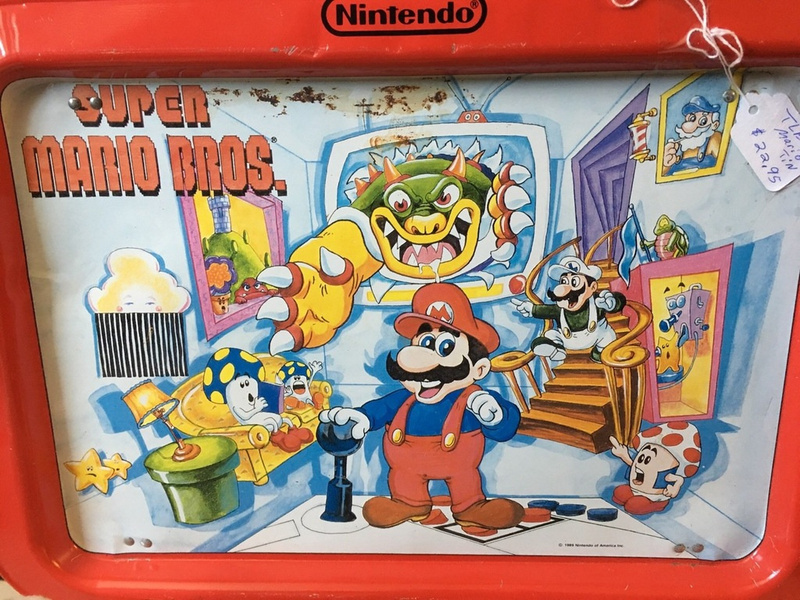 A piece of promotional artwork for The Super Mario Bros. Super Show, with a style nothing like the one used in the cartoons, has a picture of an old man resembling the Marios on the wall. A slightly different version of the same image was used on a TV tray. There appears to be a name under the picture in the magazine version, but it isn’t clear enough to make out, and it’s missing entirely on the tray. Also, in 1989, the Amada Anime series was released in Japan in 1989, bringing Mario characters into traditional fairy tales. 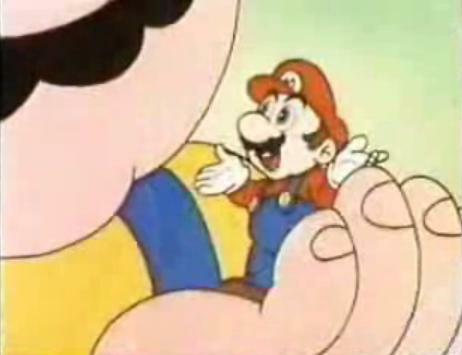 In one of them, Mario takes on the role of Issun-boshi, a tiny boy much like Tom Thumb. I wrote a little about this story with regards to the magic hammer the boy takes from an ogre. Anyway, we see Mario’s father in this one. His face isn’t shown and he doesn’t have a beard, but he’s wearing the same blue and yellow outfit the old man in the picture is. 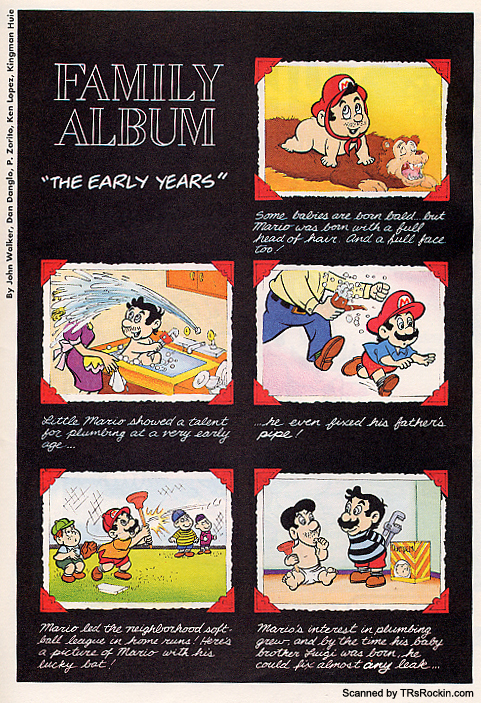 A one-page Nintendo Comics System story shows Mario’s father’s body, and while he’s not wearing overalls, he’s dressed in blue and yellow there as well. This comic goes along with the earlier idea that Luigi is significantly younger than Mario, later contradicted by Yoshi’s Island. And his mom is shown as blonde, which I’ve seen as support for her being Pauline in the original Donkey Kong, but hair color doesn’t mean much in the video game universe. Princess Peach was a redhead and a brunette before being finalized as a blonde. That said, I’ve also seen it proposed that Princess Peach and Princess Toadstool are two separate characters. And how do we know which of the many green Yoshis is THE Yoshi? I recently found out that Shigeru Miyamoto has said he thinks of Mario as being twenty-four or twenty-five years old, and he’s said to be twenty-six in Super Smash Bros. Melee. That’s younger than I thought of him as being, certainly. It’s mostly likely that he’s considered to perpetually be this age except in flashbacks like the Yoshi’s Island games, which hints at a sliding timeline like in cartoons and comics. Do we really know anything about when the games take place, either relative to each other or to actual years, however? 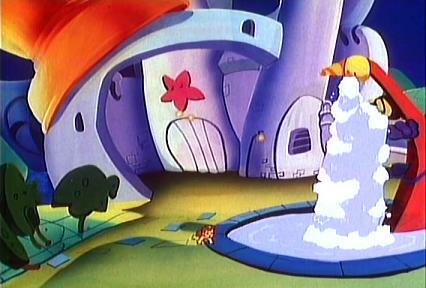 The series mostly takes place in a fantasy world and doesn’t reference many real-world events. The main exception to this was the Super Mario Bros. Super Show, which had Mario and Luigi living in Brooklyn and interacting with some contemporary celebrities in the live action segments, and occasionally mentioning them in the cartoons as well. 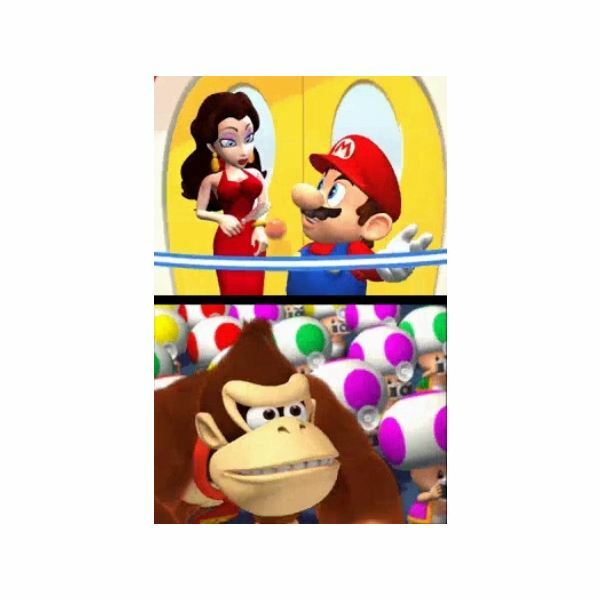 Toad references Pee-Wee Herman in “Rolling Down the River,” and Luigi mistakes a comment about a net as being about Annette Funicello in “Romano and Joliet.” Does that mean he grew up watching Mickey Mouse Club in the fifties? Then there’s the Adventures of Super Mario Bros. 3 episode with Milli Vanilli, whose career was fairly short-lived. I think one of the live-action bits actually had someone say the year was 1989, when it aired, even though these segments presumably took place BEFORE the plumbers stumbled upon the warp pipe to the Mushroom Kingdom. I doubt they really put any thought into it. By the way, another cartoon, “Two Plumbers and a Baby,” had Mario and company discover the Fountain of Youth and learn how to manipulate it to an extent, so maybe that’s why they don’t seem to get any older. 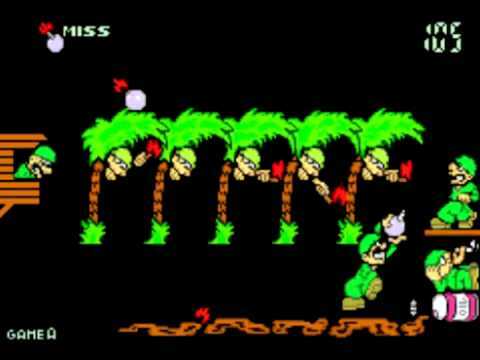 There is a Game & Watch game, Mario’s Bombs Away, that suggests Mario fought in Vietnam. The war ended in 1975, so I guess the math works out for his being in his mid-twenties during his video game debut in 1981, but that’s assuming Donkey Kong takes place around the time of its release. This entry was posted in Cartoons, Comics, Conspiracy Theories, Donkey Kong, Fairy Tales, Families, Mario, Popeye, Super Mario Bros. Super Show, Television, Video Games and tagged cranky kong, donkey kong jr., elzie segar, issun-boshi, jumpman, kamek, luigi mario, mario's bombs away, nintendo comics system, nintendo power, pauline, poopdeck pappy, princess peach toadstool, shigeru miyamoto, stork, super smash bros. melee, toad, yoshi, yoshi's island, yoshi's new island. Bookmark the permalink.